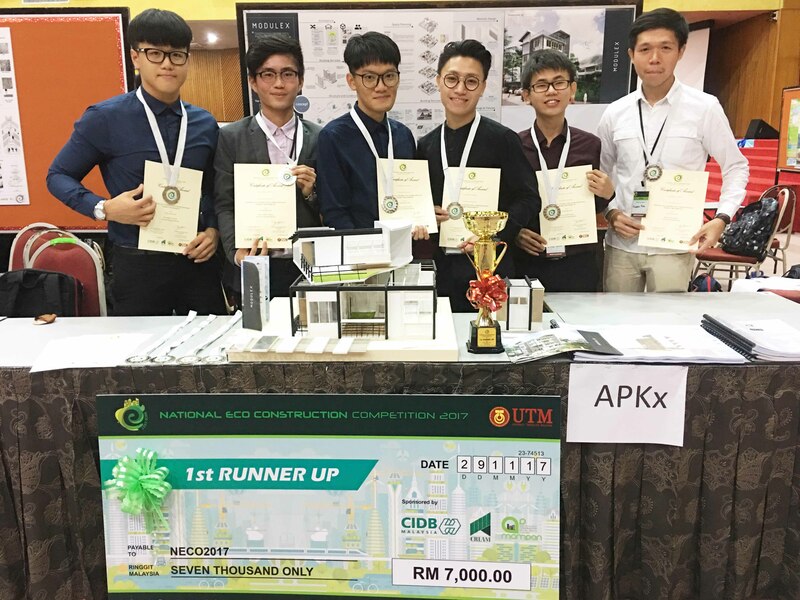 A team of UTAR students who participated in the National Eco-Construction Competition 2017 (NECO) on 29 November 2017, won the first-runner up with RM7,000 cash prize. The team was comprised of seven students from Lee Kong Chian Faculty of Engineering and Science (LKC FES), which included Architecture student Tan Ying Kuan, Chew Cher Kien, Yong Song Zhe, and Ang Kwang Ken, Mechanical Engineering student Ong Jing Yuan, Electrical and Electronic Engineering student Phang Kam Ping, as well as Quantity Surveying student Yap Jea Hui. Aimed to develop the innovative thinking skills among youth and to foster sustainable construction, the competition was designed to encourage undergraduate and postgraduate students who were majoring in Architecture, Civil, Mechanical and Electrical from local universities or colleges in presenting their design projects by applying innovative sustainable construction approach while balancing the element of sustainable in greening the construction field. 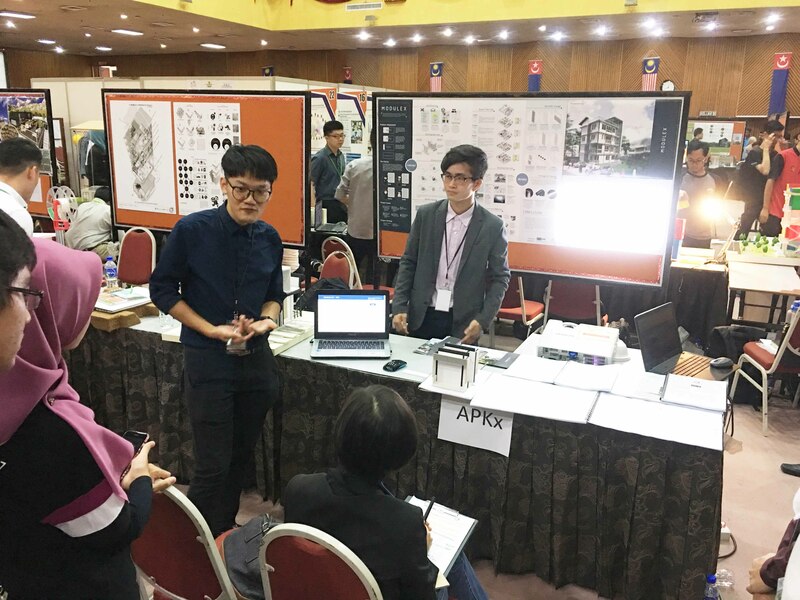 Sharing the similar thought, Ang and Ong added that the competition has provided them with a golden opportunity to gain more valuable knowledge in sustainable design and has also further broadened their knowledge in the field. Meanwhile, Yong indicated that winning the competition was no longer an individual academic accomplishment because it carried the reputation of the entire team, faculty and even the university. “So I must propel further than the usual and perform extraordinarily to continuously be a blessing for the others,” he said. The competition was jointly organised by Construction Industry Development Board (CIDB) with its newly established Sustainable Construction Excellence Centre (MAMPAN), along with Centre for Advanced Construction Technology and Innovation (CACTI), Construction Research Institute of Malaysia (CREAM) and Universiti Teknologi Malaysia (UTM).